Civilian Contractor Injuries Lawyers Phoenix AZ Plattner Verderame, P.C. When a civilian contractor gets injured on the job, the property owner could be liable. If you have fallen, tripped, or otherwise gotten injured on your employer or a client’s property, you may be entitled to fair compensation for your injuries under premises liability law. If the property owner has been negligent in securing a safe environment, you need dependable advocates to help craft your case and represent you in court. It is in your best interest to conduct a thorough investigation into fault. The Phoenix civilian contractor injury attorneys at Plattner Verderame, P.C. know how to represent independent contractors, and their rights. We specialize in securing honest clients the fair compensation they deserve, and we would like to work with you. If you are injured as a contractor on someone else’s property, you may be eligible for restitution under premises liability law. While your first priority after any injury should be receiving medical and follow up care, you will not want to delay in hiring experienced, professional premises liability attorneys. While it does depend on your specific circumstances and the details and conditions of your injury, the State Bar of Arizona cautions that there may be one or more parties at fault for a slip and fall or other personal injury. If the property on which you were injured is subject to negligent care, you may have a case against the property owner or management company. We can help you understand your rights and your options. According to Arizona Revised Statutes section 12-542, the statute of limitations for pressing charges in a personal injury case is two years. It is supremely important, however, that you speak with a Phoenix civilian contractor injury attorneys as soon as possible after your injury. Our compassionate team will listen to you and do our best to assist you in understanding your options for legal recourse during this time. Our experienced and knowledgeable team constantly strives to provide our clients with comprehensive investigations and cohesive cases. We take complex case law and precedent and show you how it applies to your case in plain language. We take a hard look at the factors that caused your injury and identifying who is responsible. 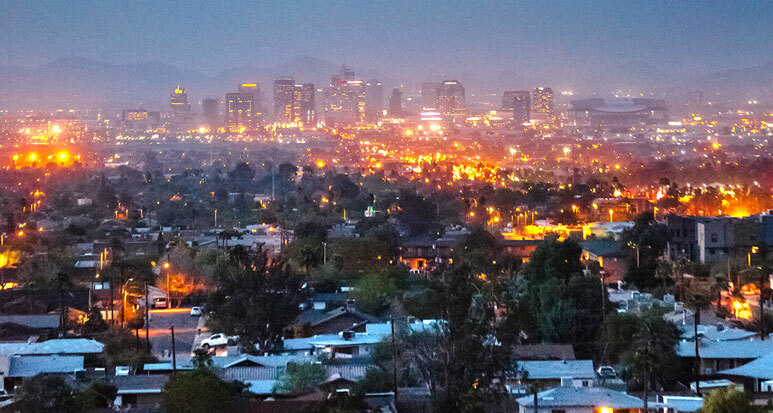 Our team is made up of approachable Phoenix civilian contractor personal injury lawyers, who will advocate for you after an injury with the utmost integrity. Although most of our cases settle, due to our reputation in the legal community and outstanding skill, should your case need to be heard in court, our expert litigators will represent you with aplomb. After you have received care for your injury, we should be your next call. Don’t let a negligent property owner get away with their unsafe environments. Exercise your rights and seek fair compensation. Time is of the essence. Although you technically have two years for the statute of limitations, the sooner you can secure a dedicated and professional Phoenix civilian contractor injury attorney, the closer you will be to receiving restitution and finally being able to fully heal. Contact Plattner Verderame, P.C. today for a confidential consultation, and talk with us about your legal recourse after sharing your circumstances with us. We only charge clients on a contingency-fee basis, meaning that there’s no need to worry about upfront costs. You don’t pay a dime unless we obtain a verdict or settlement on your behalf. Call us at 602-783-8793, or contact us online.